This whisky shows surprising strength, as a free, self-confident spirit, and as independent as those who crafted it. This exceptional Single Malt is the fourth edition released by Port Charlotte distillery, commercialised by Bruichladdich distillery. Named "Ar Dutchas", this bottle pays a tribute to the Gaelic ancestors of Islay, but also to the heritage and values passed on the next generation. This whisky shows surprising strength, as a free, self-confident spirit, and as independent as those who crafted it. 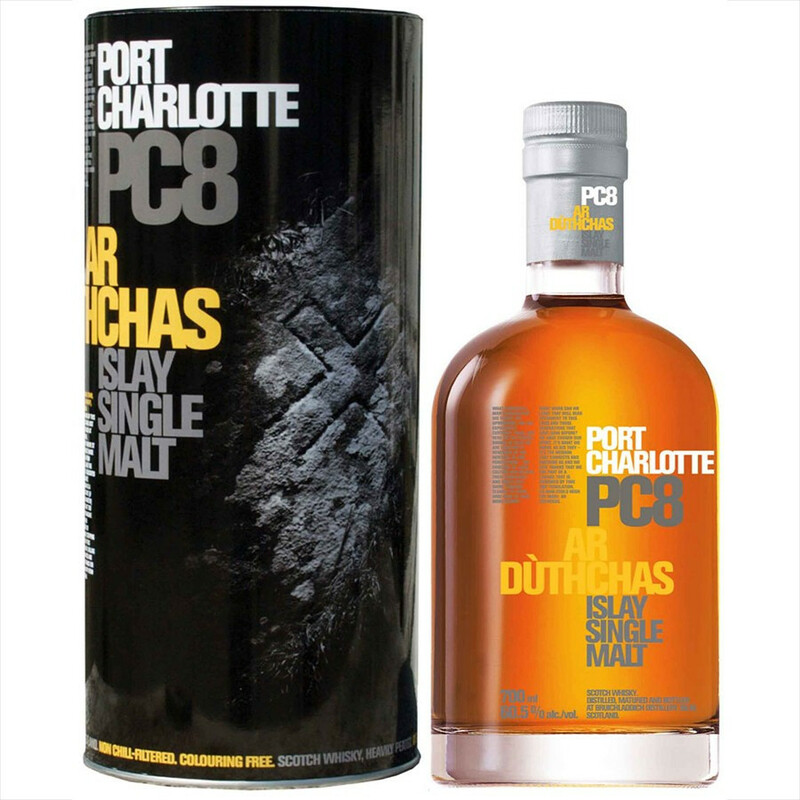 At 40ppm of peat strentgh, refined in American oak cask and grading 60,5° at cask strength, Port Charlotte PC8 is quite the manly spirit. Nose: seaspray of peat smoke battering spicy aromas of lemon and deeper scents of heather and myrtle. Sweet oak and malted barley appear in a lull, just before the next wave bashes in. Palate: rich and thick with a full-bodied, remarkable viscosity, smouldering peat fire and a rich, typical Port Charlotte mellow. Finish: admirable. This expression shows that the characteristic maturation of Port Charlotte brings in formidable marine notes, and unfathomable depth to the sweet oakiness.